A traffic ticket may seem like a simple offense, but this simple offense can carry with it large fines, suspension or revocation of your license, and increased insurance rates. 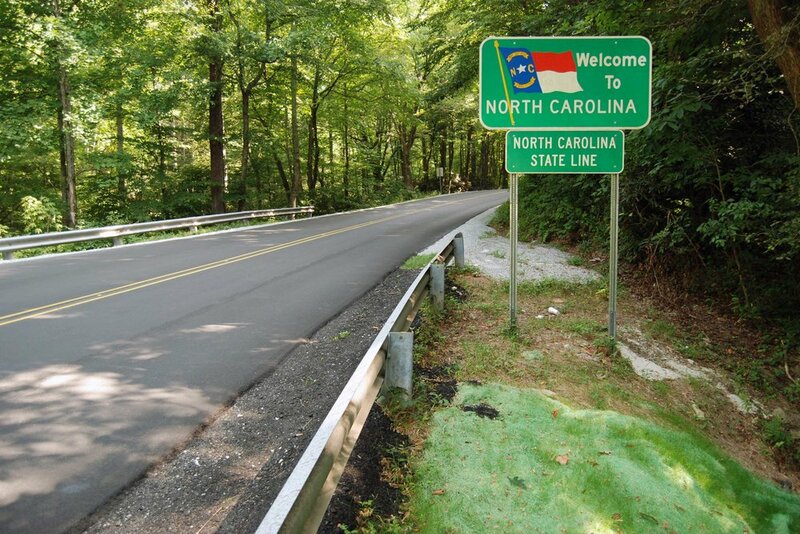 In North Carolina it is generally not required that a driver have legal representation for a petty traffic offense, such as a simple speeding ticket or expired registration. However, retaining an attorney enables the driver to have help dealing with this stressful situation and ensures that the traffic ticket is resolved in the most favorable manner for both your license and your insurance. 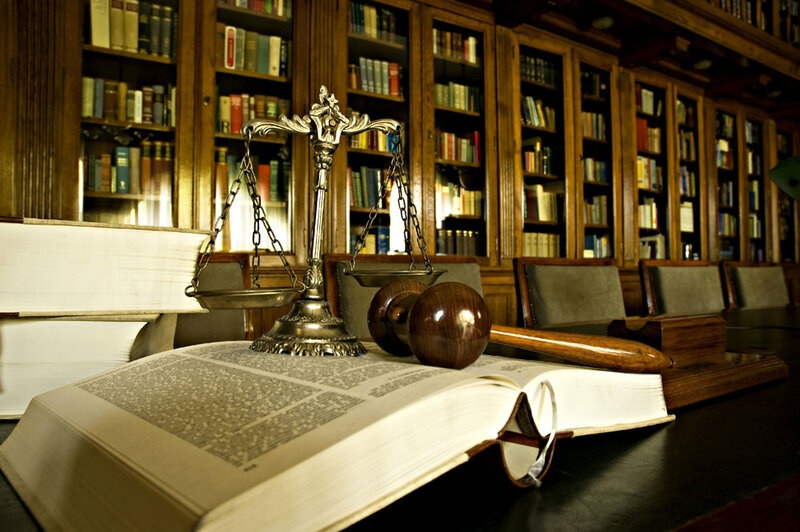 Legal representation may also save you a trip to court and the hours of time that often accompany a court appearance. For many traffic citations, a waiver of appearance will allow one of our attorneys to go to court on your behalf. Meaning, that if you received a traffic citation while travelling in Wake or Chatham county hiring one of our attorneys will save you a trip back. It is important to note that paying a traffic ticket, including paying online, is an admission of guilt and can lead to unforeseen consequences. The situation regarding traffic citations becomes more important for commercial drivers, including commercial truck drivers. Commercial driving licenses (CDL) are subject to stricter and more severe license consequences than standard operators. CDL holders must ensure that the stricter consequences for their traffic tickets do not interfere with their ability to continue holding a CDL. Our attorneys at The Law Offices of Wiley Nickel, PLLC are happy to help anyone seeking effective and knowledgeable representation for assistance with Wake county traffic tickets. You can reach attorneys Kristi Haddock and Wiley Nickel at 919-585-1486 for a free consultation. Our office is located in Cary, NC at 2401 Weston Parkway near the I-40 exit at Harrison Avenue. We wanted to give a quick update on expungements in North Carolina since the law changed in December of 2017. We're seeing much faster processing times in the last few months. New rules for faster processing and more staff across the state have been able to speed things up a few months for many clients with expungement petitions. If you have a dismissed criminal case or a conviction and you would like a free consultation you can reach us at 919-585-1486 to discuss your case. Police must have probable cause to search your vehicle. Once you are pulled over for a traffic offense, such as speeding, driving without a tail light, or expired registration, police can approach your vehicle to ask for your license and registration. If law enforcement smells marijuana coming from your vehicle this gives them the requisite probable cause to search your vehicle. However, there are exceptions and limitations to where police can search. Police officers must have individualized probable cause against the specific occupant(s) they are attempting to search. If police wish to search a container within the vehicle, such as a purse, the officer attempting to search must have probable cause that either the marijuana or related paraphernalia will be found therein. Lastly, if police wish to search the trunk of your car the officer must have specific probable cause attached to the trunk. If you were charged with a traffic offense, possession of marijuana, or possession of drug paraphernalia call The Law Offices of Wiley Nickel, PLLC for a free consultation. Attorney Kristi Haddock and Attorney Wiley Nickel are available by phone at 919-585- 1486. Our office is located in Cary near the intersection of Harrison Avenue and I-40. In North Carolina it is illegal to consume alcohol under the age of 21. Concerts, and other summer events, are often patrolled by alcohol law enforcement (ALE) looking for underage consumers who are violating NCGS 18B-302, which dictates that anyone under the age of 21 is forbidden from consuming alcohol. Further, the use of a fake ID or the purchasing of alcohol for anyone under 21 is illegal. Concerts and sporting events can be a popular place to pregame or tailgate in parking lots. While it is common to think you are safer in your car, this is not the case. Law enforcement patrolling the parking lots of events are on the lookout for illegal activity. The smell of marijuana or alcohol coming from a vehicle can lead to a citation or arrest for underage drinking, marijuana possession or possession of drug paraphernalia. If you are a first-time drug or alcohol offender, you may qualify for the opportunity to have your case dismissed. An experienced attorney may work out a deal for you to do drug or alcohol classes in exchange for a dismissal of your charges. While drug and alcohol charges may seem minor, you should only move forward with the help of an attorney. A conviction for drug or alcohol charges could impact things like employment, housing, and financial aid. Charged with a DWI, underage drinking, or marijuana charge? Call the Law Offices of Wiley Nickel, PLLC for a free consultation with attorney Kristi Haddock or attorney Wiley Nickel. How Do I Figure Out When and Where My Court Date Will Be? When the list comes up, you will be able to click on your name to bring up the details of your case, including the charges, case number, court date, and session of court. In Wake County, there are two different sessions of court: (1) “AM” (meaning (9:00 a.m.) or (2) “PM” (meaning 2:00 p.m.). It is important that you know which session of court you are attending so that you do not miss court. You may not see your scheduled courtroom on the website at first, but about a week before your scheduled court date, the assigned courtroom will appear on the website. However, because the courtrooms have been known to change unexpectedly, you should check the assigned courtroom on your scheduled court date. The Wake County Justice Center is the large marble building located across from the Wake County Courthouse. The address is 300 S Salisbury St, Raleigh, NC. If you have been charged with a criminal offense, contact The Law Offices of Wiley Nickel, PLLC today for a free consultation. You can reach the office at 919-585-1486. What Happens When I Miss My Court Date? You should always do everything you can to attend court on your assigned court date, but if you end up missing court the judge may issue a bench warrant. A bench warrant is very similar to an arrest warrant, which means that you can be arrested. A judge may not issue a bench warrant but it is completely in their discretion to do so. Although police may not actively pursue you because your charge is only traffic related or another minor offense, the police could do so if they wish. So in order to avoid your arrest, you should bring any and all documentation that might explain your absence and then contact a lawyer to see what your options are. You lawyer may be able to help explain why you missed the court date and get a new court date rescheduled. You need an experienced attorney who will keep your interests in mind and be able to get the best outcome for you. If you have missed your court date, call The Law Offices of Wiley Nickel, PLLC for a free consultation at 919-585-1486. What is the 90-96 Program? If this is the first time ever being charged with a crime and you have been charged with an alcohol or drug offense, you might be eligible for the first time offender program called 90-96. Under North Carolina General Statutes Section 90-96, courts are allowed to defer prosecution of alcohol and drug offenses for first time offenders. Essentially, first time offenders are given the opportunity to earn a dismissal through completion of this program. The 90-96 program is a great option for first time offenders and sometimes even if you are charged with an alcohol or drug offense for a second time. The 90-96 programs requires that you attend alcohol and/or drug classes, pay the required fees and abide by the conditions of the program in order to have your case dismissed. Although as part of the 90-96 program you are required to sign an admission of guilt, this admission is irrelevant so long as you comply with the programs requirements within the year. Once you have completed the 90-96 program and your case has been dismissed, your case will be eligible for expungement to clear your criminal record of the charge. If you were charged with an alcohol or drug offense and would like to learn more about this program, or you have completed the program and would like help getting your criminal record expunged, call the attorneys at The Law Offices of Wiley Nickel, PLLC at 919-585-1486. We are always excited to serve our community! Today attorney Kristi Haddock from The Law Offices of Wiley Nickel, PLLC is at WRAL TV answering legal questions as part of the North Carolina Bar Foundation 4All Service Day. What Happens When I'm Charged With Using A Fake I.D.? As spring break and summer break quickly approach for college and high school students, many students will find themselves in trouble for using fake identification in their free time. While an underage person’s use of fake identification may not seem so serious at the time, a conviction under North Carolina laws can result in revocation of your drivers license. If you are convicted under N.C. Gen. Stat 18B-302(e), your drivers license must be revoked for a one-year period. Under N.C. Gen. Stat. 20-23(3), displaying or representing as your own, a drivers licenses not issued to the person displaying it is a Class 2 misdemeanor. Upon a conviction under this statute, you may lose your drivers license for up to one year. If you are charged with having a fake I.D. contact The Law Offices of Wiley Nickel, PLLC for a free consultation with one of our criminal defense attorneys at 919-585-1486. Ignition Interlock Devices are small breath analyzers that check a driver’s breath for alcohol before letting the car’s engine start and during various intervals while driving. When Should I Stop For A Stopped School Bus in NC? In July 2017, Roy Cooper signed the “School Bus Cameras and Civil Penalties” bill into law allowing individual counties to adopt ordinances and cite motorists by using cameras installed on the stop-arms of buses. The new law authorizes counties to adopt ordinances with civil penalties of $400 for the first offense, $750 for the second offense and $1,000 for a subsequent offense. If you’ve been charged with Passing or Failing to Stop for a Stopped School Bus, give The Law Offices of Wiley Nickel, PLLC a call to discuss the facts of your case at 919-585-1486. Attorney Kristi Haddock and Attorney Wiley Nickel are available for a free consultation. In 2017, North Carolina relinquished its title as the only state in the U.S. that automatically prosecuted juveniles 16 and older as adults. As a result of the North Carolina General Assembly’s Juvenile Justice Reinvestment Act, most 16 and 17 year olds will now be prosecuted in juvenile court instead of the adult court system. Beginning December 1, 2019, a “delinquent juvenile,” as defined in N.C. Gen. Stat. 7B-1501(7), will include 16 and 17 year olds who commit crimes or infractions, except for motor vehicle laws, or indirect contempt by a juvenile. However, under the new law, once a juvenile has been convicted of any offense in either district or superior court, including violations of motor vehicle laws, the juvenile must be prosecuted as an adult for all subsequent offenses. This means that if a teenager already has an adult conviction when the new law becomes effective, the law will not benefit them. The new law provides that all offenses committed by 16 and 17 year olds will originate in juvenile court. This means that 16 and 17 year olds accused of misdemeanors and low-level felonies such as larcenies, break-ins and other non-violent crimes, will now have a chance to for their cases to be handled in juvenile court. Since studies have shown that children in the juvenile system are less likely to return to jail, North Carolina is finally taking a step towards reducing its growing prison populations. What has not changed is that violent teenagers can still be moved into the adult system. Class A-G felonies that are committed by 16 and 17 year olds require mandatory transfers to superior court by a notice of an indictment or a finding of probable cause by the court. However, this new provision will provide prosecutors with the ability to maintain some discretion by reducing charges before the time for filing or a probable cause hearing. If you are charged with a misdemeanor offense and are 16 or 17 years old contact The Law Offices of Wiley Nickel, PLLC for a free consultation. Until the “Raise the Age” Bill becomes effective we can handle cases for 16 and 17 years olds in adult criminal court. Standardized Field Sobriety Tests: What Are Police Looking For? If you have ever seen a movie or television show depicting drunk drivers, you may have seen police officers asking drivers to say the alphabet backwards, count fingers or touch their noses in order to help determine whether the driver is intoxicated. In reality, law enforcement officers will very rarely use those often-depicted tests because more reliable tests exist. The three most common Standardized Field Sobriety Tests (SFST) that a police officer will likely ask you to perform if he or she suspects you of driving while impaired are: One Leg Stand, Walk and Turn, and Horizontal Gaze Nystagmus. Officers will likely ask you to stand with one leg out in front of you – parallel to the ground—approximately six inches off the ground for nearly thirty seconds. While officers are giving you instructions for the test, you will be instructed to stand with your feet together, keep your arms at your side and listen to performance instructions. Officers will also likely ask you to take nine heel-to-toe steps in a straight line, turn 180 degrees on one foot and repeat the steps in the opposite direction following either an actual or imaginary line. During this exercise, officers want you to watch your feet, count out loud and keep your hands at your side. Nystagmus is the involuntary jerking of the eyes that can be caused for a number of reasons, including alcohol impairment. Horizontal Gaze Nystagmus (HGN) is an involuntary jerking of the eye that occurs naturally as the eyes are rotated at high peripheral angles. Alcohol and certain other drugs can cause exaggerated HGN and trigger HGN at an angle of less than 45 degrees. Before the test an officer will check the subject for equal pupil size, resting nystagmus and equal tracking to rule out any medical condition that may render the test ineffective. An officer will then ask you to follow a stimulus that he or she will move from left to right and right to left while watching for certain clues. A common misconception is that officers look for you to follow the stimulus without head movement. Although officers will note that, it is not a clue they are specifically looking for. Each of these tests has defenses that you may want to explore with your DWI/DUI attorney. The attorneys at The Law Offices of Wiley Nickel have experience challenging the results of these tests, along with all other aspects of your DWI/DUI case. 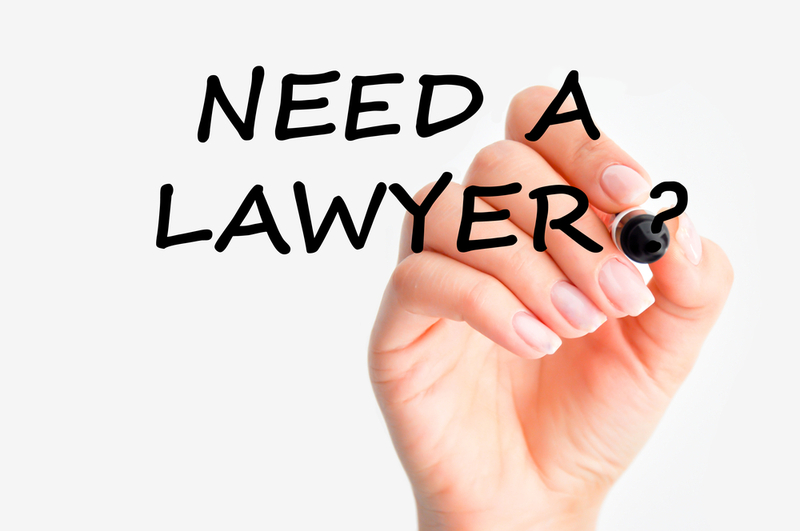 Contact our office at 919-585-1486 to speak with one of our experienced attorneys today about your options.